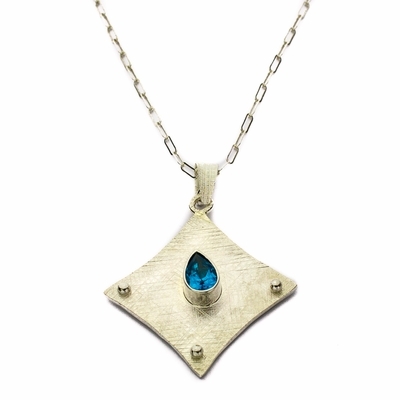 The most favored of colors is in this gorgeous Blue Topaz pendant necklace. It is the color of the deep blue sea! Set on handcrafted, textured sterling silver, this beauty also has silver ball accents to give it even more depth. Measuring approximately one inch on the pendant, it is the perfect size to complement the neckline from the 20 inches sterling silver chain.